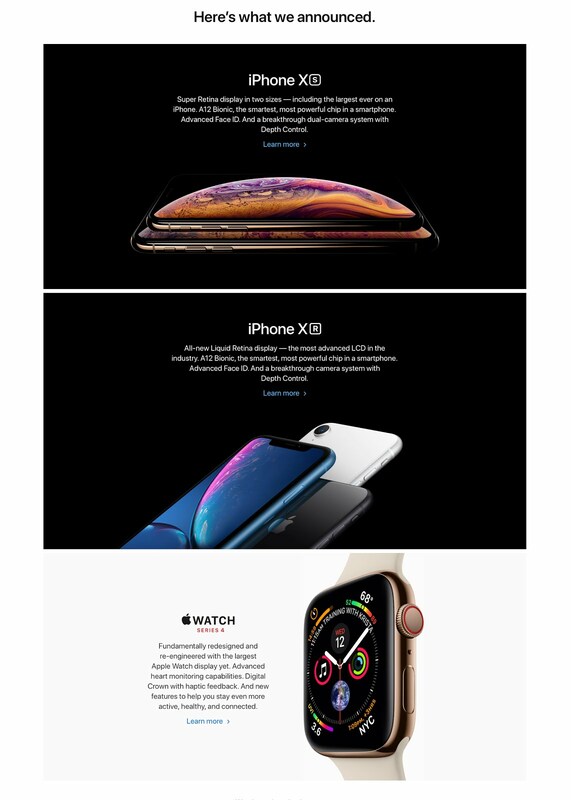 Apple had a Special Event today and the announcements were all about the new iPhones and the new Apple Watch. The new iPhone XS and XS Max look great and they are as expensive a last year ( $999 and $1099 ). But the also new iPhone XR with a LCD Retina Display - instead than an OLED Screen for the XS and XSMax - will be available in six different colors and will have the same features but only one back camera instead of two and will cost $749 "only". The video below is the fun video which did the opening of today's Apple Special Event, right at the start, two and a half minutes before the Keynote began. You can now see the full Keynote with the new iPhones and Apple Watch presentation HERE, and below the videos showing the three new iPhones and the Apple Watch Series 4, presented by Jony Ive, Apple famous designer.